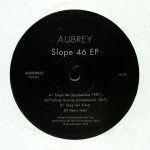 Review: Assemble Music welcomes Uk legend Aubrey with a four tracker including two previously unreleased cuts from 1997 and two new ones! Review: Repress of well received new Lisbon label's first release. 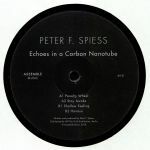 This various artists 12" features some pretty big names in minimal techno and got the label off to a flying start which has since released the likes of local artists Altitude and Activ Analog. On Assembling 1 EP they give us the slow burning but funky reductionism of Canadian Mike Shannon and his offering "Pimp Limp", Voigtmann and his cold, shuffling hypnotism demonstrated on "Muffshuffler" and Swiss young gun Nicola Kazmir who serves up the delightfully paranoid after-hours shenanigans of "Reductive Ford". Deep! Review: Something Records boss, elusive production room deviant, raw house outsider, and Perlon regular, STL, rises back up from the shadows and drops a new EP for Portugal's low-key Assemble Music. As per usual, he's cool, he's tight with his beats, and he means business; "Crank Notion" itself is a bubbly, playful house number complete with the man's signature percussive twist and deranged pseudo bells - all in all, an effective DJ tool with an edge. Over on the flip, "Neat Buzzl" gets all the love from us; a woozy, dark and cavernous techno bomb with a slow pace and a mean lean. It's exactly the sort of gear we want to be pulled out at 4am. Choice cuts, as always.